Airbrush paints enhance a variety of art projects, from custom painting cars to creating a mural. Since you will likely get paint on your clothing while using airbrush paints, wearing old threads is recommended. If the paint does get on your clothes, try to remove it as soon as possible. 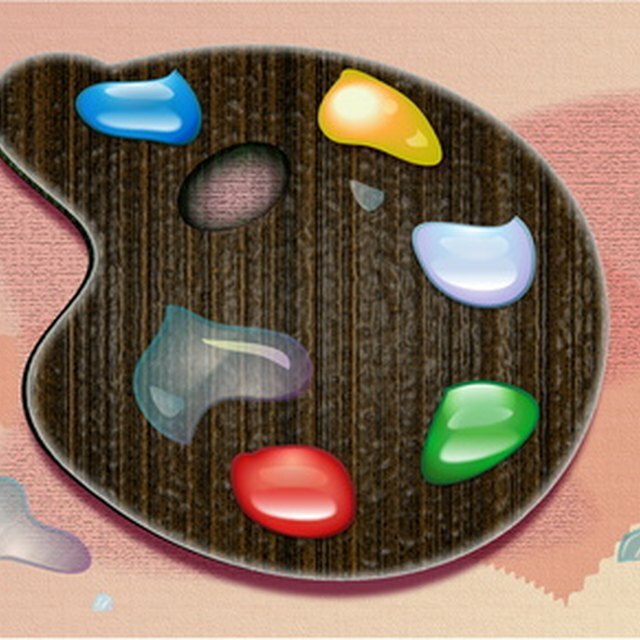 When working on an airbrush painting, the paint can get on your clothes and leave stains. Airbrush paints enhance a variety of art projects, from custom painting cars to creating a mural. Since you will likely get paint on your clothing while using airbrush paints, wearing old threads is recommended. If the paint does get on your clothes, try to remove it as soon as possible. Rinse the paint out of the clothing item in cold water as soon as possible. Water based airbrush paints thin out with water, so rinsing the paint from your clothing while it is still wet will help minimize the stain and may even remove it completely. Rub at the stain gently with your fingers. Apply rubbing alcohol to the paint. Allow the alcohol to sit for about five to 10 minutes, then rinse. Repeat as necessary. Wash the clothing as normal. If the item is machine washable, stick it in the washing machine. Otherwise, hand wash according to the directions on the item's care tag. Test paint thinner on an inconspicuous area of the clothing item, such as the inside seam, to ensure it will not damage the fabric. Apply paint thinner to the stain and allow it to sit for about 10 to 15 minutes. Rinse the clothing item in cold water and then gently rub laundry detergent into the stain gently with your fingers. Rinse rinse the detergent away. Examine the stained clothing. If the stain remains, repeat Steps 1 and 2 until it is no longer noticeable. Follow the directions on the item's care tag to finish washing the garment.